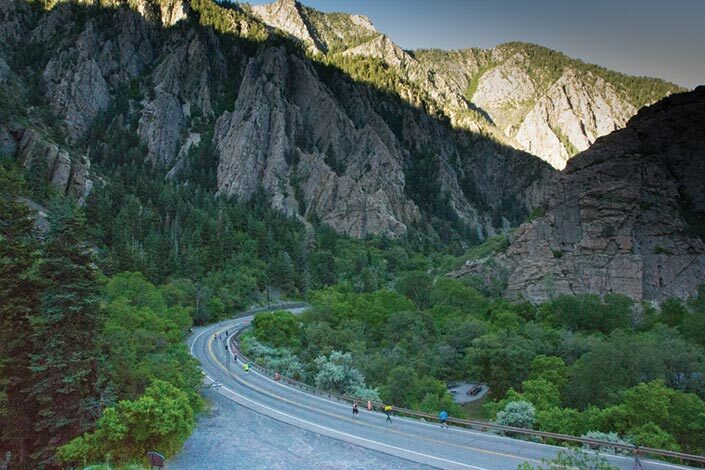 Utah has a lot of great races to choose from, but the half marathon distance is growing in popularity for many reasons. It allows for faster recovery, requires less training, and can be done more often than marathons. A half marathon can be completed by beginner or advanced athletes, but it still requires good stamina so runners are drawn to the challenge. Looking to run a half this year? Here are a few favorite local half marathons to put on your race calendar. 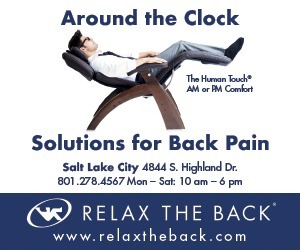 Speaking from experience I can tell you that the Salt Lake City Half Marathon is a great race. I ran it last year and liked the split clocks they had at various places along the route and race pacers. Both helped me stay on pace to reach my goal. It was also very well organized with fully staffed aid stations, lots of spectators, and the race started right on time. 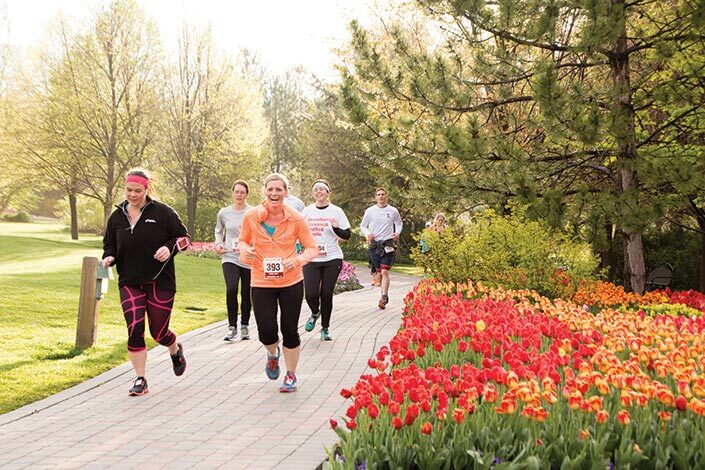 The course is an overall gradual downhill, so it’s not too hard on the body, and it takes runners past iconic landmarks in Salt Lake City with the beautiful snowcapped Wasatch Mountains in the backdrop. The course is also USATF & RRCA certified offering open, masters, and age group divisions. The finisher’s medal was also a belt buckle, which was very unique! Other race distances and a cycling event are also offered, so there is something for everyone. Not trained for a half yet? 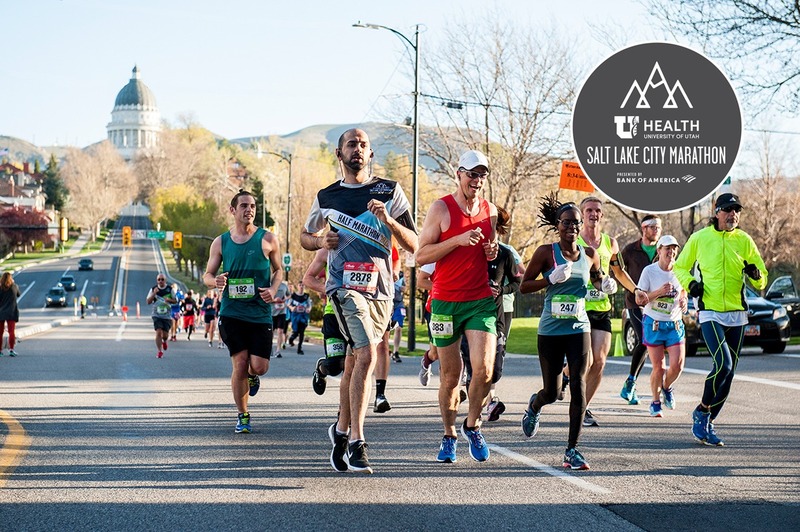 Participate in SLC Marathon’s newest event instead: a 10K skate. Open to recreational and pro skaters, the course goes through downtown and Sugarhouse, sharing a portion of the half marathon course. 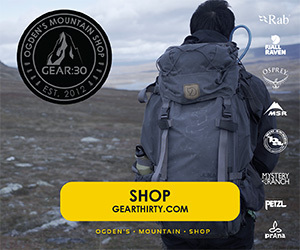 Use code blonderunnerslc16 to save $5. Who wouldn’t want to experience that? Racers love the winding route through the gardens that traverses through the golf course and passes Thanksgiving Point’s massive waterfall. This is certainly a breathing taking run, and one for the whole family with a 5K and Kid’s One-mile Run also offered. 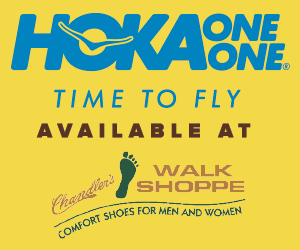 This race offers all the great things runners look for: a beautiful route, unique medals, and reasonable prices. It starts near Solitude Ski Resort high in Big Cottonwood Canyon and offers ideal spring conditions with temperatures typically in the high 70’s or low 80’s in the canyon. The snow runoff fills the streams and runners are surrounded by green trees. The elevation on this course drops around 3000 feet from start to finish with almost no flat or uphill areas of running. So it’s a steep, fast downhill race if you are looking for a new personal record. They also offer special medal awards for finishing, breaking a personal record, dropping 13 pounds, and placing in your age group. This fun, festive race really embraces the Halloween spirit all along its 13.1-mile route. Costumes are encouraged so break out your best one, invite a friend, and join the fun. 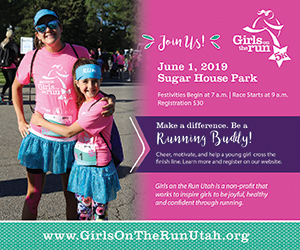 They offer two Utah races: one in Salt Lake City down Emigration Canyon and finishing at Sugar House Park and one down Provo Canyon. If you’ve ever hiked in Snow Canyon you know how beautiful it is. Now imagine running through it during the most perfect time of year to enjoy ideal running weather. 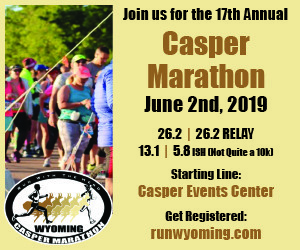 This race is set up to give you just that, running through the beautiful and scenic landscape of Snow Canyon State Park. Runners say it is, “So beautiful and well organized and the cost is reasonable.” Others have pointed out the beautiful red rock and indicated they have great food at the finish line. The course is USATF certified, primarily downhill, fast with breathtaking views. 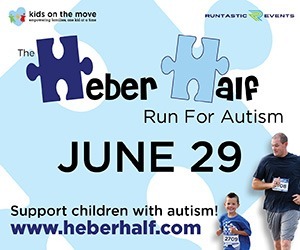 Races for kids also offered.